Sigma Nu fraternity was established at the Virginia Military Institute in 1869. After the foundation the fraternity quickly became very popular and it remains to increase the popularity today. 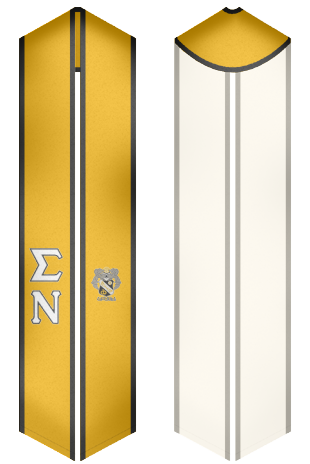 With 279 active and inactive chapters, more than 227,000 members and a great deal of colonies on the territory of United States and Canada, Sigma Nu is considered to be one of the largest communities. The fraternity is focused on various leadership development programs and anti-hazing principles. The fraternity's principles are based on love, honor, and truth. 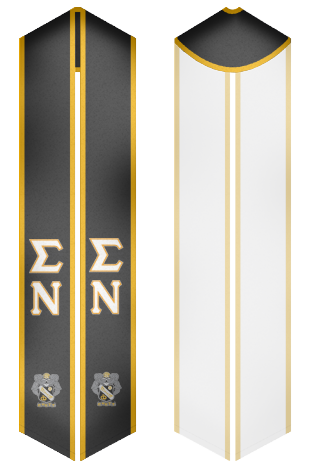 Custom sash offers a wide selection of stoles, which are intended for Sigma Nu graduation day and other fraternity’s events.